Hidden, human stories about food on the front lines of hunger. Homegrown school feeding is not only transforming the lives of students, but entire communities. We sat down with Carmen Burbano de Lara, WFP director of school feeding, and Amy Blauman, who manages WFP’s homegrown school feeding program in Rwanda, to learn more. Yemen is the world’s worst humanitarian crisis. WFP cameraman Marco Frattini recently traveled to the country to document the human impact of its four-year civil war. What he saw is something he’ll never forget. On our latest episode of Hacking Hunger, Marco shares his experience visiting the children and families who have become innocent victims of Yemen’s war. In her final episode as host, M.J. Altman turns the mic over to three women in Guatemala, Chad and Jordan who share their own stories in their own languages as part of a unique project from the U.N. World Food Programme known as Storytellers. The Sahel of Africa has always been an unforgiving landscape, but now families in the region are facing two growing threats at the same time: Climate change and conflict. Boko Haram’s campaign of terror has displaced thousands of people as farmers and pastoralists clash over access to shrinking land. M.J. takes you to Niger, a country in the Sahel where families are fighting for their lives—and a better future for their children. Diko Amariah has been on both sides of humanitarian aid, first as a child refugee and now as an aid worker in South Sudan, where five years of conflict have pushed millions of people—especially women and girls—to the brink of famine. M.J. talks to Diko about delivering emergency supplies in one of the world's most dangerous conflict zones and how she maintains faith in a brighter future for her country. Escalating violence in Eastern Ghouta has dominated recent news coverage of the conflict in Syria as humanitarians struggle to reach families trapped without food. Jakob Kern has witnessed the turmoil firsthand as head of the U.N. World Food Programme’s operation in Damascus for the last two years. As the conflict enters its 8th year, hear what Jakob has seen—and what the headlines often miss. When violence in Myanmar sparked a mass exodus last August, hundreds of thousands of Rohingya fled for the border. Today, the Kutupalong camp in Cox’s Bazar, Bangladesh has become the world’s largest refugee camp, hosting more than 1 million people. M.J. talks to one aid worker who’s been on the ground since the beginning of the crisis—and hears about a new threat that now looms. When a historic drought struck Mozambique last year, the nation’s farmers found themselves plunged into hunger. So how did the U.N. World Food Programme help pull the country back from the brink? On the last of a two-part series, M.J. shares five voices in Mozambique—a farmer, an aid worker, a teacher, a student and a father—who found themselves on the front lines of this slow-motion natural disaster and a massive and artfully timed humanitarian operation that saved millions of lives, including theirs. A year ago, Mozambique was on the brink of disaster. Successive droughts meant the country’s farmers had almost nothing to harvest—or feed their families. In the first in a two-part series, M.J. takes you to the country’s urban streets and rural farms, introducing you to five Mozambicans who recount how their lives intertwined with a historic humanitarian crisis that left the U.N. World Food Programme with no choice but to sound the alarm. Good nutrition helped Natalie Coughlin earn the most Olympic medals of any female swimmer in U.S. history. But a recent trip to Uganda with World Food Program USA — where she met farmers, elementary students and refugees from South Sudan — transformed her perspective on nutrition and food. M.J. talks to Natalie about her journey of discovery and how she intends to use her celebrity platform for good. Republicans and Democrats don’t agree on much these days, but hunger has always been different. For decades, Congress and the White House have worked together to feed families around the world. M.J. talks to former Senator Tom Daschle about why this American legacy must endure — even as war, climate change and four looming famines threaten millions of families across the globe. In many parts of sub-Saharan Africa, farmers can expect to lose nearly half of their harvest before it even leaves the farm. M.J. talks to the World Food Programme’s Brett Rierson about why — and how “tupperware for crops” could change the way the world’s small-scale farmers do business. As conflict rages in neighboring South Sudan, Uganda’s leaders -- many of them former refugees themselves -- are welcoming thousands of people seeking refuge from the violence with food and opportunity. M.J. talks to WFP USA’s Erin Cochran about her recent trip to Uganda and how aid workers responded when an entire village in South Sudan fled for the border one night following a brutal attack by government forces. Famine paints an unspeakable picture: Families desperate for food, children dying of hunger, an urgent need for life-saving aid. The recent declaration of famine in South Sudan reveals the tragic consequences of war—and how the gradual collapse of a country can drive people into starvation. M.J. talks to Rose Ogola, a World Vision staffer in South Sudan, and Challiss McDonough, a World Food Programme staffer, about the human toll of famine, what’s at stake for the world’s youngest nation and what you can do today to help save the lives of innocent children. Lovebirds Poonam Kaushal and Nishkaam Mehta are getting hitched this Valentine’s Day. Instead of throwing a big wedding, they teamed up with friends, family and perfect strangers to create an unconventional wedding gift using the world’s first hunger-fighting smartphone app. As they prepare to tie the knot in four days, M.J. talks to Poonam and Nishkaam about their “Million Meals for Love” campaign and explains how you can be part of their big day by changing the life of a hungry child. Season 1 of Hacking Hunger was an experiment that uncovered moments of joy, heartache and the unexpected. M.J. takes a look back at a few of her favorite interviews from Season 1 and shares what’s in store for Season 2 -- and what you can do to help her find hidden, human stories about food on the front lines of hunger. The city of Mosul has become the latest frontline in the war against ISIS and hunger in Iraq. Tens of thousands of families have fled the violence, reuniting with food and loved ones after years of separation. M.J. talks to Alex Murdoch, a World Food Programme communications officer in Iraq, about documenting the human experience of this exodus -- from the heartbreak of continual displacement to the joys of unexpected reunion. Journalist Dalia Mortada may have been born and raised in the U.S., but she grew up in a Syrian kitchen. As a child, she savored aromas and flavors like orange blossom, tamarind syrup and cardamom -- tastes that would define her childhood and seal her identity as a Syrian-American. M.J. talks to Dalia about the inspiration behind her new project, Savoring Syria, and how she’s using food to spark a deeper conversation about a country torn apart by conflict. When Hurricane Matthew slammed into Haiti last month, the storm ravaged its southern coast and left hundreds of thousands of families without food, shelter and clean water. But its devastation only tells part of the story. M.J. hands over the mic to Laura Cantave, a World Food Program USA staffer born in Haiti, to share her reflections on the spirit of her homeland and to Alexis Masciarelli, a World Food Programme staffer, who has spent the past month on the ground talking with families who survived the hurricane’s wrath. For Peter Mumo, escaping a childhood of hunger and poverty in Kenya began with an empty bowl, a nervous excitement, and the delivery of his very first school meal. These simple meals and the encouragement of his parents would change the trajectory of his life. M.J. talks to Peter about what it was like sharing a scarce amount of food with five brothers growing up, how he’s helping transform the way his homeland feeds its people and being selected for President Obama’s prestigious Mandela Washington Fellowship. When violence or natural disaster strikes vulnerable communities, good data on the hunger that often results can be hard to come by. For aid workers, knowing where food is scarce and how families are coping is crucial to alleviate suffering. M.J. talks to Jean-Martin Bauer, founder of the World Food Programme’s mobile Vulnerability Analysis and Mapping (mVAM) unit, about how mobile phones in the most remote and dangerous corners of our world are changing how we understand and fight hunger. If women farmers had the same access to resources like capital, markets and training as their male counterparts, the number of hungry people worldwide could drop by nearly 20 percent, according to the United Nations. M.J. talks to Lisa Curtis, co-founder of Kuli Kuli Foods, about how building a U.S. market for a “miracle crop” called moringa is empowering women farmers in some of the world’s most vulnerable communities to grow, sell and consume what some believe could be the next kale or quinoa. In an increasingly food-obsessed world, journalists and consumers alike are digging into the politics of what ends up on our plates. This global food chain means farmers and families at home and abroad are interconnected in new and complicated ways. M.J. talks to Maddie Oatman, co-host of Mother Jones magazine’s new food podcast “Bite,” about what she’s uncovering in her day-to-day reporting, how living abroad shaped her perspective, and this year’s four trendy foods that could balance sustainability and appetite. At a time when smartphone users outnumber the world’s hungry children by 20 to 1, humanitarian organizations are crowdsourcing creative ideas and solutions to harness technology in the fight against global hunger. That’s why some of the brightest minds in tech innovation joined last week’s launch of the UN World Food Programme’s first-ever Innovation Accelerator. Hear from one of them: Sebastian Stricker, the co-founder of WFP’s award-winning mobile app ShareTheMeal. Learn how it has inspired people around the world to share more than 7 million meals with hungry families across the Middle East since its launch last fall. In a besieged town in Syria earlier this year, families had been boiling grass to survive when word spread that the first delivery of food and medicine to reach the area in 18 months was on its way. But when this humanitarian convoy was blocked at a government checkpoint, the fate of tens of thousands of Syrians fell hostage to the whims of a single army commander. Hear from WFP’s Country Director in Syria who was on the convoy about what happened next and learn how a displaced Syrian aid worker is struggling to feed families cut off from aid. Go behind the scenes with these two humanitarians as we reveal the logistical challenges they face when trying to deliver food in one of the most dangerous and volatile countries in the world. What's it like to live in a country with terrain that is both breathtakingly beautiful and incredibly dangerous? Few places exemplify this better than Nepal, and few people know this contrast as deeply as its local mountain porters after last year’s twin earthquakes. We share interviews with four Nepalese porters who helped deliver food and supplies to communities in need after the country’s worst natural disasters in 80 years. We explore how the earthquakes changed their lives, what they carried up some of the tallest peaks in the world, and what’s at stake for Nepal’s ongoing recovery effort. Millennials are the largest and most educated generation in the U.S. Today, they outnumber baby boomers by nearly 8 million people. And the United Nations has tasked this generation with tackling one of the biggest challenges of our time - ending hunger by 2030. We talk with five students of the “Zero Hunger Generation” who attended last month’s Universities Fighting World Hunger summit in Missouri about who they are, what they believe, and what they’re doing to rise to the occasion. One of these students is Cedric Habiyaremye, whose childhood as a former refugee led him to a career in agriculture. A historic drought is sweeping Ethiopia and more than 10 million people have been pushed into hunger. We talk with two humanitarians in Ethiopia—John Aylieff from the U.N. World Food Programme (WFP) and Dianna Darsney de Salcedo from the U.S. Agency for International Development (USAID), the single largest donor to WFP's Ethiopia operations—to hear how families are coping with one of the worst droughts in decades. We also hear from Abebe Haregewoin, an Ethiopian man who is raising money from his home in Silver Spring, Maryland to help WFP feed people in his homeland. Music: Mulatu Astatke, The Story of Ethio Jazz, "Yekermo Sew"; Girma Yifrashewa, Love and Peace, "The Shepherd with the Flute"
We speak with Dina el-Kassaby, one of the WFP's Communications Officers based in Cairo, about how the conflicts in Syria and Iraq have impacted ordinary families throughout the region. 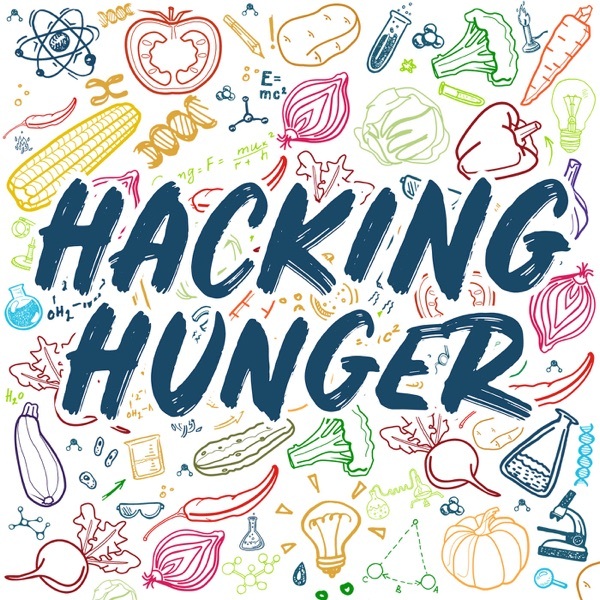 In this segment of Hacking Hunger podcast, Allan Jury, WFP USA's Public Policy Vice President and food security "Yoda" debunks some of the pernicious myths about global hunger and explains how agencies like the World Food Programme are making progress. We're joined today by Roger Thurow, an award-winning journalist and author who has traveled across the globe reporting on food security, agriculture and humanitarian issues. We spoke to Roger about his experience in the field, how 9/11 led him to cover global hunger issues, and his motto: “Outrage and inspire.” Music Featured: Modest Mouse, "Float On"